Thirteen people (eleven men and two women), have pleaded guilty to an attack on Paypal's servers that US authorities say was engineered by hacktivist group Anonymous. 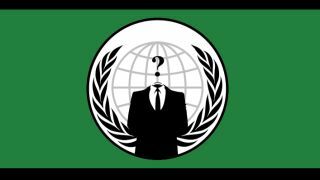 The payment site has been the target of Anonymous protests since it cut its ties with website Wikileaks. The defendants in the case acknowledged taking part in these protests in 2010, in which Paypal received thousands of attacks from computers across the globe. These attacks, named Distributed Denial of Service (or DDoS) attacks, flood a computer network with useless commands and information, causing it damage. This in turn forces the network to deny service to genuine users. Paypal urged leniency by prosecutors in the case, with founder Pierre Omidyar supporting the defendants' "freedom of expression" and calling for the thirteen people to be held accountable for the damage they did individually, not the collective damage done by the entire attack. Nevertheless, US Departments of Justice have accused the defendants of intentionally damaging protected computers. By pleading guilty the thirteen defendants will be sentenced with minor misdemeanour charges, providing they then stay out of trouble with the law. Termed "Operation Paycheck" by Anonymous, the Decmber 2010 protest attacked not just Paypal but also larger credit firms including Mastercard and Visa. All the firms targeted had stopped payments to the anti-secrecy website Wikileaks following its publication of classified US documents and diplomatic messages. "Citing violations of the PayPal terms of service, and in response to Wikileaks' release of the classified cables, PayPal suspended their accounts so that Wikileaks could no longer receive donations via PayPal," US Attorney Melinda Haag said Friday in a statement. Wikileaks' website declared that PayPal's action had "tried to economically strangle them". A hearing for all thirteen defendants, who are currently on bail, is scheduled to take place in 2014.